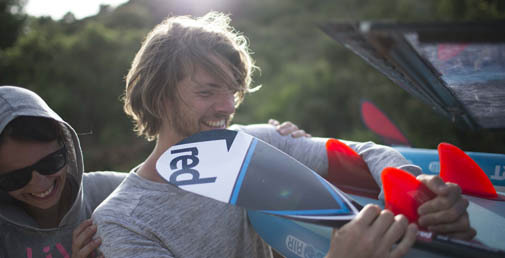 At SUP Inflatables, every Inflatable SUP comes with a free paddle, plus a range of great reduced-price paddle upgrade options so that you can build your perfect iSUP package. Alloy paddles will get you on the water, but we know from experience that upgrading to glass and carbon paddles increases enjoyment massively. The lighter-weight constructions mean you can paddle for longer with less fatigue, and the stiffer response means you travel further with every paddle stroke. Read on for the low down on the paddle options, including 50% Off our very own range of lightweight performance SUP paddles. The options vary depending on the board you are looking at, so click the 'Customize and Add to Cart' button to find out what is available with each board. Every Inflatable SUP comes as standard with a Free Alloy SUP Paddle. The Bravo Alloy SUP Paddle is usually included, however certain boards come with other branded alloy paddles. These paddles split into 3-pieces and fit in your iSUP bag for easy transportation, plus are adjustable in length to suit different paddler heights. They have an alloy shaft and nylon/fibreglass blade. To check which Free Paddle is included with your board, click the 'Choose Package and Add to Cart' button. At £40, this paddle upgrade is an absolute no-brainer. We have had this 3-Piece glass SUP Paddle made in the same factory as many of the major SUP brands, ensuring that you get a truly quality product. The glass fibre shaft makes for a much lighter-weight paddle than an alloy version. The glass fibre also makes the paddle much stiffer, meaning your effort is transferred into forward momentum much more efficiently. Paddle faster, with less effort. The integrated rail protector makes this paddle super durable. Click to find out more. The SUP Glass Hybrid paddle is an £80 upgrade, reduced from £159.99. This high quality glass SUP paddle features a glass hybrid blade to offer superior strength. 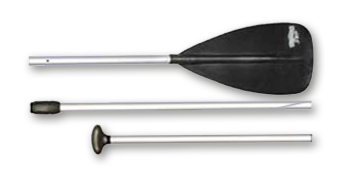 The lower weight compared to an alloy or glass PE paddle makes it easier to paddle and makes your strokes more efficient. The blade has a very small amount of V near the top of the blade to reduce paddle flutter and then a very flat mid to lower section for power. Click to find out more. 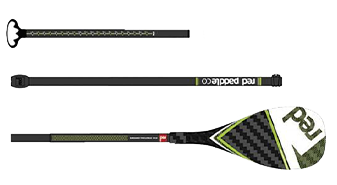 The SUP Carbon + Bamboo Paddle is reduced from £239.99 to £120 when purchased with an inflatable SUP. 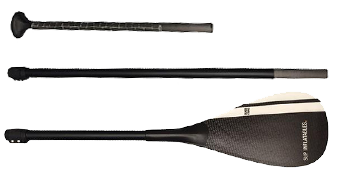 This premium quality SUP paddle features a 100% Carbon shaft and Glass Bamboo blade. This paddle is very lightweight which makes it easier to paddle for longer and the stokes you do take are more efficient. 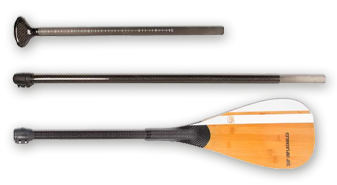 For the chance to get a very high-end paddle at an unbeatable price, choose the SUP Inflatables Carbon Bamboo paddle. Click to find out more. 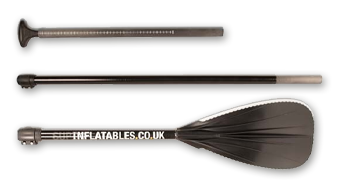 We only stock inflatable SUPs from the world's best manufacturer's. Naturally these brands also produce their own range of fantastic SUP paddles, and we always want to offer the best paddleboard package choices. 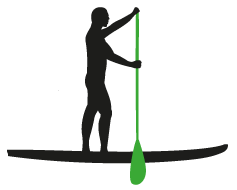 Certain iSUPs have the option to choose a SUP paddle from the same manufacturer as the board, always at discounted prices. Even though we have offered a superb selection of SUP Paddle upgrade options, we understand that you may wish to choose a different paddle from our extensive range. We offer maximum flexibility in your package. You can opt to save £60 off the package price, then simply add your chosen paddle (worth £100 or more) into the shopping basket. 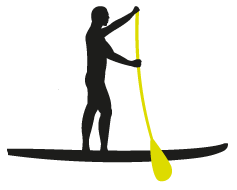 Click to browse all SUP Paddles. We are passionate about paddleboading and we know our stuff. 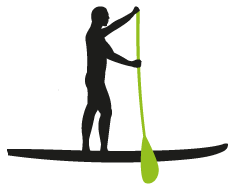 If you have any questions at all about what SUP paddle would be best for you, please don't hesitate to get in touch.